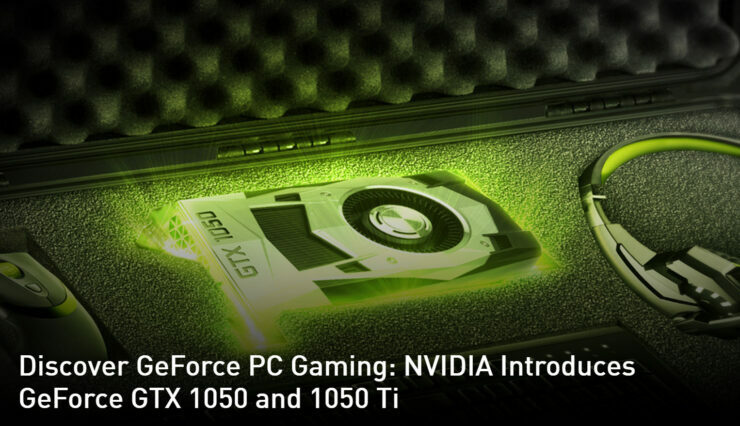 NVIDIA has officially launched their budget friendly, GeForce GTX 1050 Ti and GTX 1050 graphics card. Based on the Pascal GP107 GPU, these new cards offer tremendous amount of efficiency and good performance increase over last gen products. 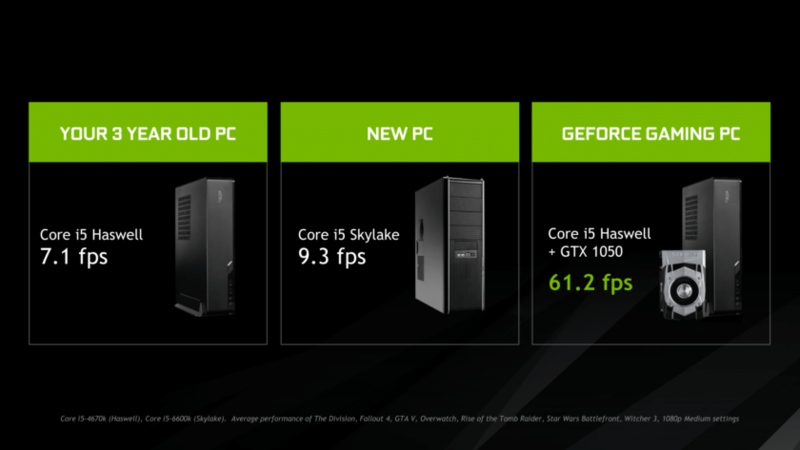 The NVIDIA GeForce GTX 1050 series graphics cards are based on a new Pascal core. This core is known as the GP107 GPU. This is the first instance where Pascal architecture is being produced on a different process node. While the rest of the Pascal lineup uses TSMC’s 16nm FinFET process, the GP107 GPU relies on Samsung’s 14nm FinFET process node. 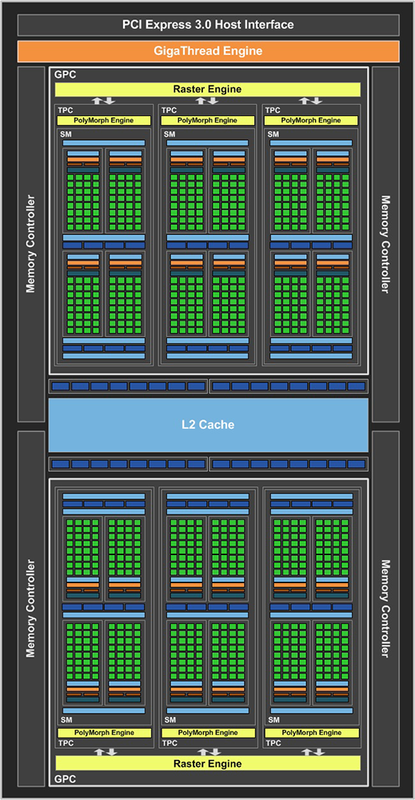 The new process helps NVIDIA design smaller GPUs that are efficient and faster than their predecessors. The GP107 GPU is replacing the GM107 GPU which launched in early 2014. 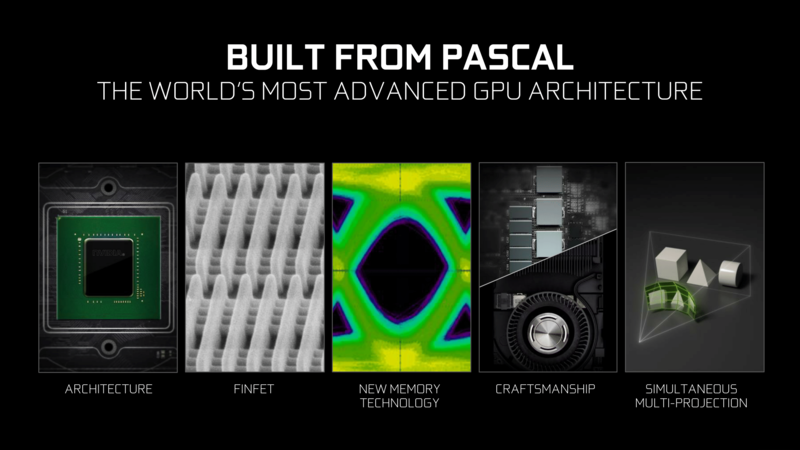 All of the advantages that Pascal brings for gamers such as NVIDIA SMP, Ansel support and VR-Ready. The GeForce 1050 series is targeted at the mass market where gamers rely on graphics products that are affordable and offer plug-and-play support. This is one of the advantages that GP107 brings since it doesn’t need any power connectors to boot up due to its low 75W TDP requirement. Following are some reviews that have gone live today. 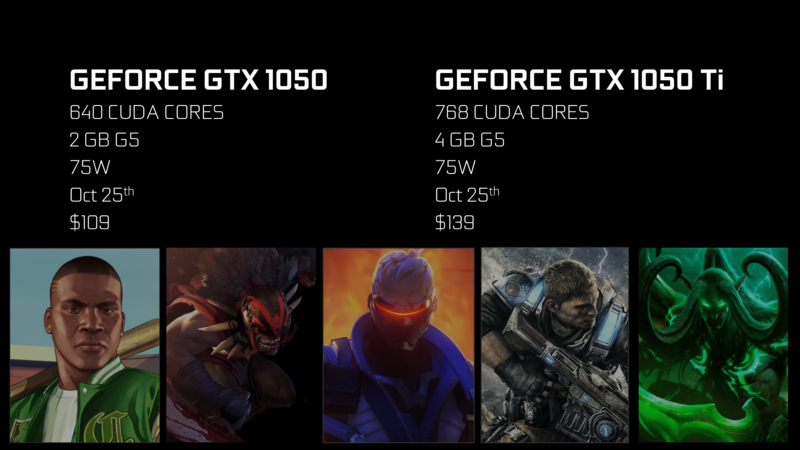 The NVIDIA GeForce GTX 1050 Ti features 768 CUDA Cores. The core comes packed with 48 TMUs and 32 ROPs. The chip is clocked at 1318 MHz core and 1392 MHz boost frequency which is just around a 250 MHz jump over the GM107 GPU. The texture fill rate of the chip goes up to 84 GTexel/s (almost twice of GM107).The pixel fill rate is maintained at 41.3 GPixel/s that is a good increase over Maxwell. The card should also feature 4 GB of GDDR5 memory clocked at 7 GHz. This gives us 112 GB/s bandwidth along the narrow 128-bit bus interface. The card will be priced at $139 US which is a really sweet price considering that it only costs $20 more than the Radeon RX 460 yet going to be faster. The card will feature the same TDP as the Radeon RX 460’s Polaris 11 core, coupled with all the enhancements Pascal brings for gamers. This card will be available in various custom models on launch and we can expect those to follow the reference pricing. Moving on to the next variant, we have the GTX 1050. The non-Ti variant features a cut down, Pascal based GP107 core. It has specifications configured at 640 CUDA cores, 40 TMUs and 32 ROPs. It will have a few bits disabled here and there, the clock speeds are maintained at 1354 MHz and 1455 MHz boost clocks. The card will be available in both 2 GB models. Priced at $109 US, this model can be a effective solution against the Radeon RX 460 which has the same price point. The card will also feature a 75W TDP which means no extra power connector would be required. We will see some models not even closing in on the 75W limit while boosting past the reference clock speeds. Display connectors for the reference variants include three DP 1.4a, a single HDMI and a single DVI connector. For those interested in the GeForce GTX 1050 series, you can head over here for more details regarding the two cards. You can also check out our detailed custom model round-up of several GTX 1050 and GTX 1050 Ti cards in this link.